Fielding soccer combines passing, catching, running and fielding with the need to evade defenders and hit a target. Interceptors have to read the play and anticipate the throw. 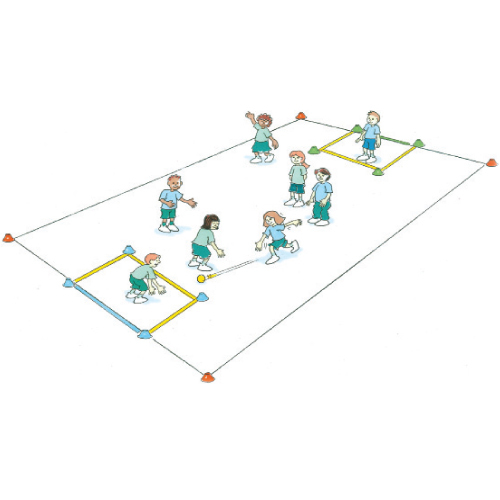 Mark out an area with marker cones as goal posts. Players form into teams of 4. Rolling and fielding the ball between their teammates, players attempt to score goals. The ball can only roll through goals and cannot be lifted into the air. A player cannot run or move off the spot with the ball. What can you do to help your teammates receive the ball? Where is the best place to stand when defending your opponents’ goal?